The world had scant months to sigh its collective relief before a new conflict threatened. 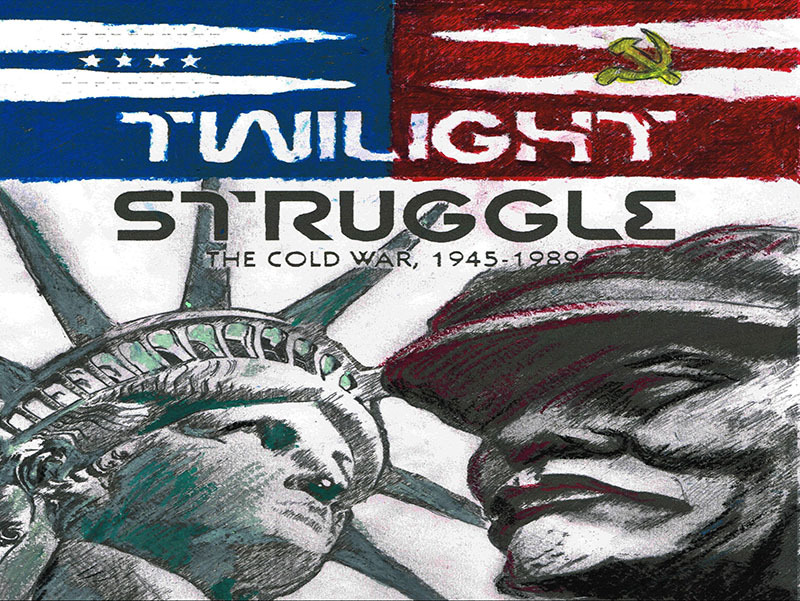 Unlike the titanic struggles of the preceding decades, this conflict would be waged not primarily by soldiers and tanks, but by spies and politicians, scientists and intellectuals, artists and traitors. The entire world is the stage on which these two titans fight to make the world safe for their own ideologies and ways of life. The game begins amidst the ruins of Europe as the two new "superpowers" scramble over the wreckage of the Second World War, and ends in 1989, when only the United States remained standing. The game map is a world map of the period, whereon players move units and exert influence in attempts to gain allies and control for their superpower. As with GMT's other card-driven games, decision-making is a challenge; how to best use one's cards and units given consistently limited resources? These rules are optional, and are not required for 'friendly' play. 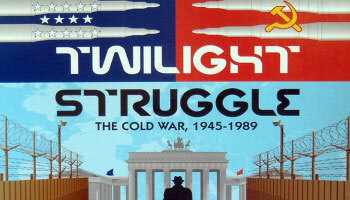 They are simply offered as guidelines on conducting Twilight Struggle as a competitive tournament game. During tournament play, all cards held at the end of the round should be revealed to your opponent. This prevents accidental or deliberate holding of scoring cards. Any player found holding a scoring card during the Reveal Held Card phase is said to have started an accidental nuclear war, and loses immediately. What follows is an example of play between Chris Withers and Stefan Mecay. In this game, none of the optional cards are in play. Additionally, the two players have bid for sides. 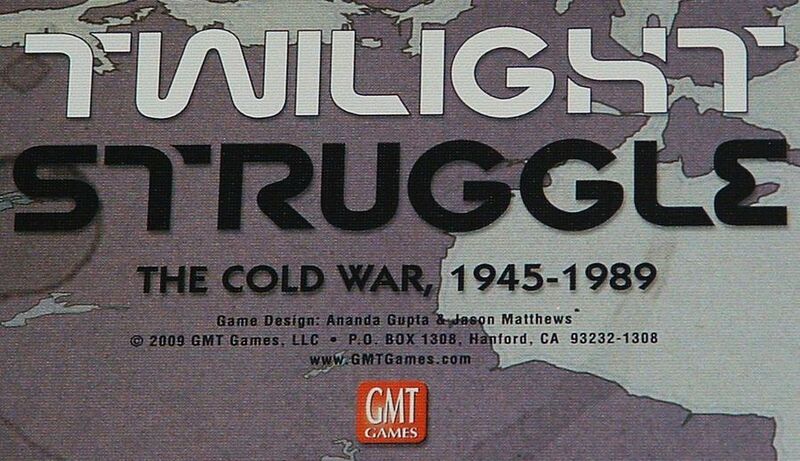 Chris wins the bidding and chooses the Soviets. Stefan takes the underdogs, but due to bidding his US begins the game with an additional four Influence Points. These points may only be placed in countries eligible for US Influence during the game setup.